There are a few times—only just a few times—when musicians are able to find the intensity in a performance where the primordial cry is so distinct that communication with the Divine is so total, it may be experienced almost like an out-of-body one. 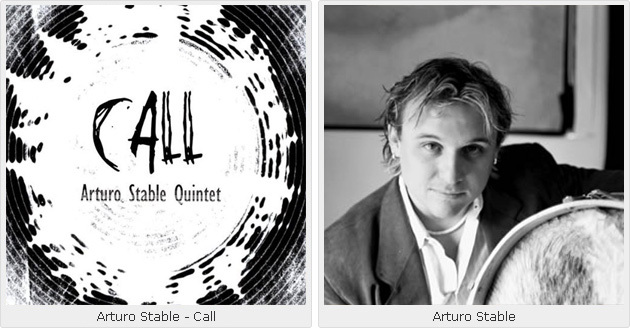 Such is the intensity with which the artists have made the compositions of Arturo Stable come alive on Call, a group effort of almost epic proportions. Firstly the itinerant work by Stable as he is breaking skin verse after verse… chorus after chorus has created kinetic energy that propels the music on the album. His ability to create a dynamic tension that creates a taut space between melody, harmony and rhythm—then fill it with almost vocal content as he slaps, brushes and coaxes a unique voice from the skins is memorable. Stable’s style is to eschew fanciful stylistic figures throughout. Instead he is direct and forthright in his attack, brutal and honest and completely guileless. This being his forte, he is able to marshal infinite reserves of raw energy in his communication with the other musicians in his ensemble. He drives Javier Vercher, his horn and woodwinds partner, out of his comfort zone and into a realm where he now explores the heart of tones and textures with raw emotion in the phrases and lines that he plays, straight and back to front, in single—well blown—notes or in lines that meander interminably in the thick of the music’s harmony. Vercher and Ortiz exchange staccato or legato passages as they converse and toss the melodies among themselves, forming new ideas as they go along. “Call” and “Goodbye Eternity” are exquisite examples of the primal force that propels the album, right from the eerie violin of Ian Izquierdo and the howl of Vercher’s saxophones in the former track, to the rumbling ostinato passages of Edward Perez’s bass. The musicians explore tonal ideas thoroughly, dwelling on thoughts and ideas until they are pried open and turned inside out. They do just that on “Zabana” and “Crack Attack” with remarkable effect never glossing over the social commentary of both tracks. As the album progresses it begins to get more graphic as well. Although “Old Memories” is more elegiac and more narrative in nature, what follows thereafter is certainly vivid in the splashes of color and imagery that is employed to make various statements. There is the blinding vibrancy of “Danz Sol” and the deep and elemental desolation of “Landscape of Luz,” which is only broken with the tranquility of the kalimba, an obvious reference to the “African-ness” of all immigrations. “Spider Web” is racy and tantalizingly crafted in its own shifting tonal soundscape before it races onward into a breathless bop mode. The most emotional part of this musical journey is heard on “African Sunrise” a tour de force of color and texture, explored gradually by every instrument in the ensemble, especially the piano and the saxophones. And there is “Anthem,” a culmination of the ideas that Stable set forth in “Call,” when he opened the summons to his entourage to undertake this vivid musical journey fraught with challenge and met with memorable results, making Call an album to cherish and listen to time and time again. Tracks: 1. Call; 2. Goodbye To Eternity; 3. Zabana; 4. Crack Attack; 5. Old Memories; 6. Danz Sol; 7. Landscape of Luz; 8. Spider Web; 9. African Sunrise; 10. Anthem. 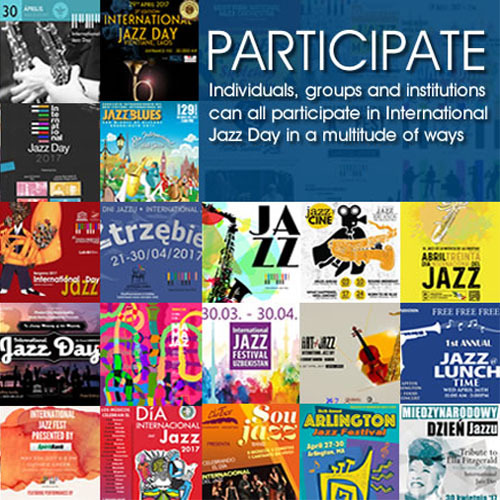 Personnel: Arturo Stable: percussion; Aruan Ortiz: piano; Edward Perez: bass; Javier Vercher: horns and woodwinds; Ian Izquierdo: violin; Francisco Mela: drums.